Prosecutors offered little explanation and infuriated Chicago’s police chief and mayor this week when they dropped 16 felony counts against Smollett related to making a false police report, yet they still insist the actor faked a racist, anti-gay attack on himself in January. Smollett’s attorney said the two brothers who claim they worked with the actor to stage the January attack are lying. They acknowledge that Smollett, who is black and gay, had hired one brother as a personal trainer, but insist Smollett had no idea who attacked him along a Chicago street in late January until the brothers were later identified by police. Police said investigators believe Smollett hired the brothers to stage the attack with the hopes of gaining attention and advancing his career. Smollett has repeatedly insisted the attack was real. Police also allege that before the attack, Smollett sent a letter threatening himself to the Chicago studio where “Empire” is shot. The FBI, which is investigating that letter, has declined to comment. Prosecutors charged Smollett with one felony count in February, and earlier this month a grand jury indicted him on 15 more. 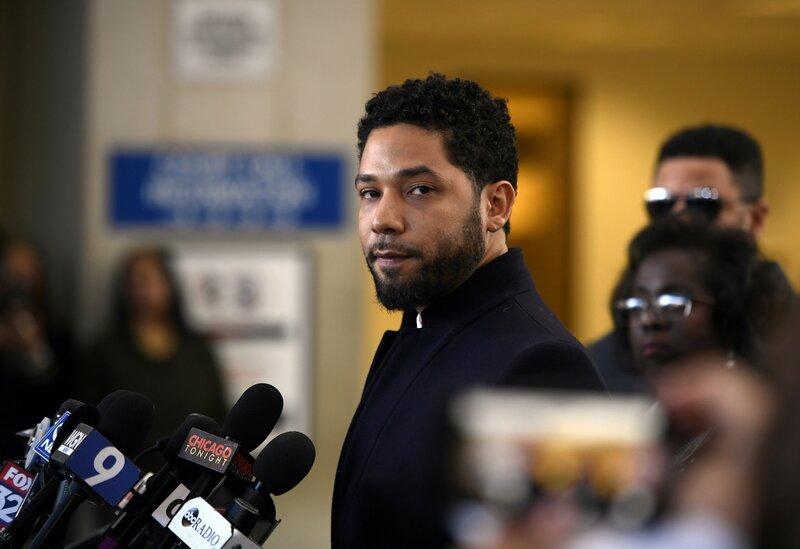 But in Tuesday’s stunning reversal, the Cook County state’s attorney’s office abruptly dropped all charges against Smollett, abandoning the criminal case only five weeks after the allegations were filed.